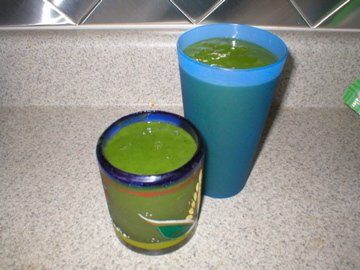 Green smoothies are highly nutritious and can be a great way to get "the good stuff" into your diet. After all, food is energy. Choose foods that make you feel good, give you energy, are guilt-free, fit your lifestyle, and that get you closer to the REAL you – how you want to live. Aim for about 60% fruit and 40% greens. Put soft items in first for easiest blending (non-frozen fruit on the bottom). 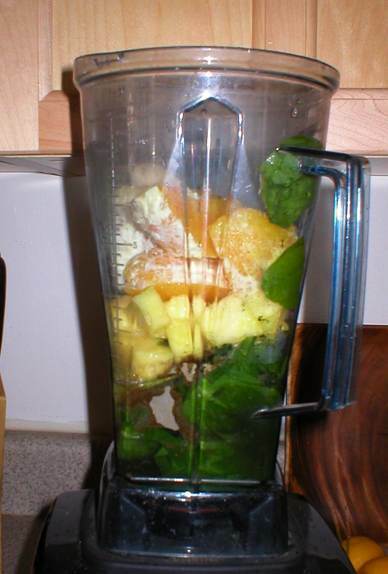 For example - spinach, banana, orange, pineapple (like a green pina colada). Or rainbow chard, raspberries, banana, mango. If needed, sweeten with a little agave, dates, honey, or stevia. Stores in the fridge for up to 24-hours (fresher is best as it gradually loses nutrients over time). Think your kids won't drink a green smoothie? Add berries, such as raspberries, blackberries, or blueberries. It turns it dark reddish purple and they won't see or taste the greens. Yum! Add some fun straws and they'll really enjoy their sweet healthy meals. Use your imagination! Experiment and change your fruits with the season. Keep it as simple as you can so you can experience more variety and don't get bored. Make sure to VARY your greens regularly so you don't get tired of it and get different nutrients. If you use any superfood powders, you can add them in, too. Add almond milk to thicken or turn it into a milkshake. Nut milks add creaminess but some folks digest better when they do not mix nuts with fruit. See how you feel by tracking your food intake in your diary. Some folks even say that eating greens cuts cravings for other not-so-healthy foods. Seems to be true for me, so give these beautiful green babies a try! Check out Victoria Boutenko's book, Green for Life, for more information about green smoothies and her experiments. Craving a Pie or Cobbler?